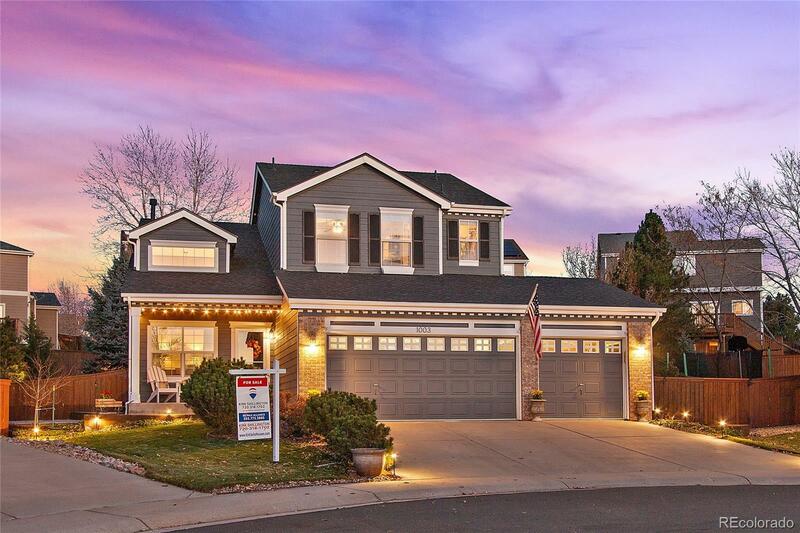 Incredible home in Highlands Ranch! Huge yard with private patio designed to enjoy stunning mountain views. Perfect Cul-De-Sac location! Newly refinished hardwood floors. Gourmet kitchen with Slab Granite, Stainless steel appliances, undermounted granite sink and backsplash. 3 car garage. Newer roof and exterior paint. Wi-fi integrated lighting, heating and sprinklers. 4 bedrooms upstairs plus an additional main floor bedroom/office. All appliances plus newer swingset included. Close to a 10,000 square foot lot! (.22 acres). Lots this size are rare in Highlands Ranch. Easy access to C-470 & DTC. Close to walking trails, restaurants & shopping. Highly rated Douglas County School District.